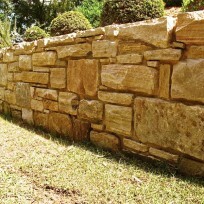 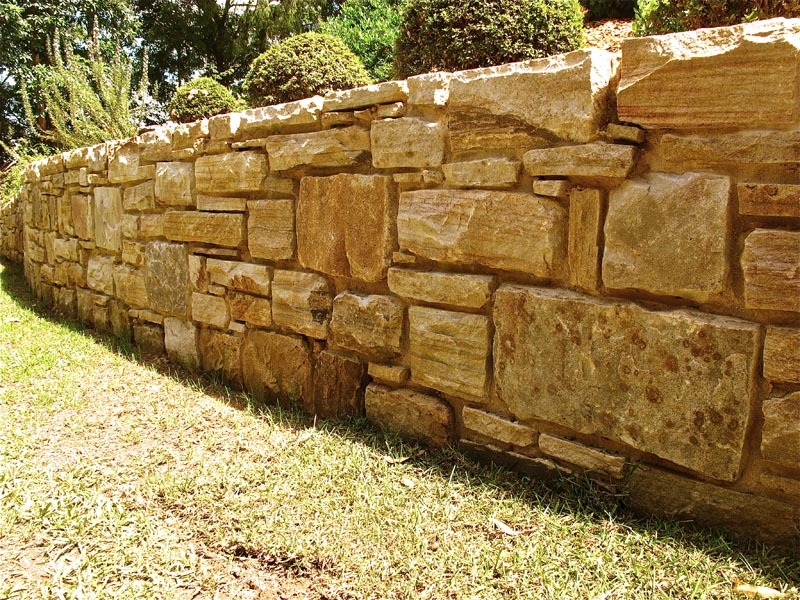 Solid stone was commissioned to replace a dilapidated hardwood sleeper retaining wall with a sand stone retaining wall. 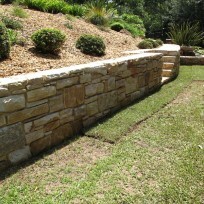 The stone retaining wall enjoys a gentle curve as it wraps along the base of the earth bank. 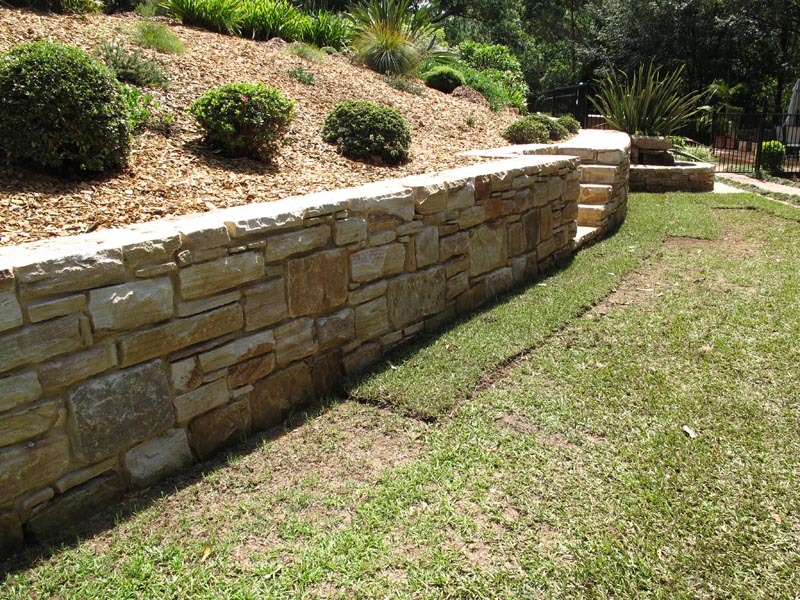 The cap of the retaining wall is a generous 400mm wide, which is a comfortable seat doubling as a pathway to access the garden.